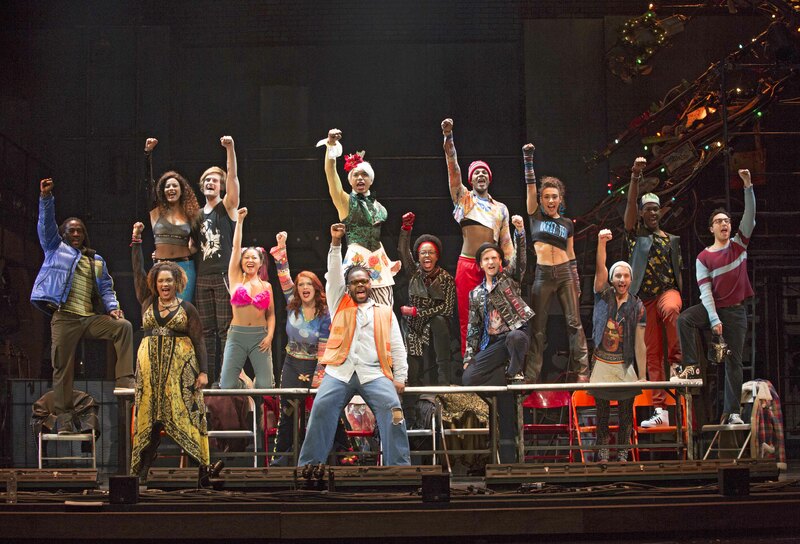 More than twenty years after “RENT” opened on Broadway, it is clear why this incredible show has the ability to touch and move strangers. And it’s striking how much has changed, and how much has remained the same in those twenty years. 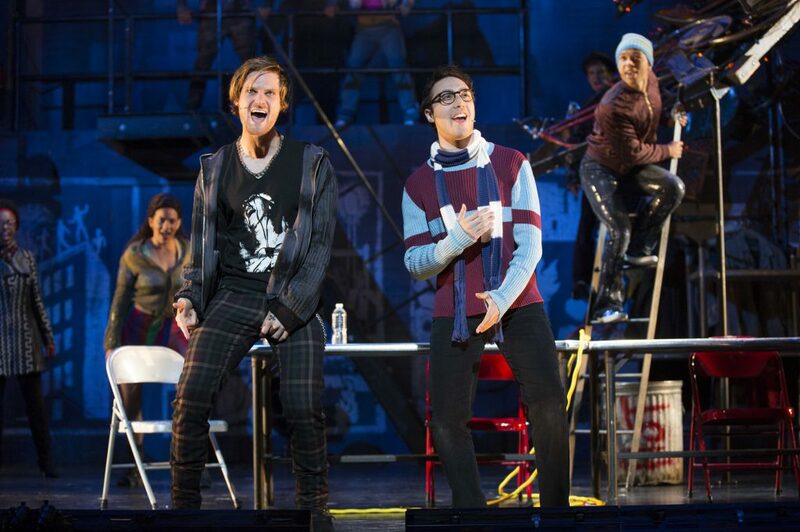 In the opening number, Mark (exuberant Sammy Ferber), welcomes us to the New York City industrial loft he shares with roommate Robert (moody, rough-edged Kaleb Wells). The cold, drafty loft, complete with power outages, isn’t much better than the tent city outside. We could as well be seeing a Bay Area warehouse converted into living and work spaces by today’s generation of struggling artists. It doesn’t take long for AIDS to enter the storyline. Robert isn’t moody for melodrama’s sake. His last girlfriend killed herself right after telling him she was HIV positive. Now Robert is HIV positive too. Mark and Robert’s good friend, Tom Collins, (emotive, compelling Josh Walker) and the vibrant street drummer he falls in love with, Angel (captivating, infectious Aaron Alcaraz) are battling the same diagnosis. Even Mimi (talented Skyler Volpe), the vivacious vixen next door, who develops a magnetic attraction to Robert, has AIDS. The heartbreaking question of how to live a fulfilling life when you’ve been handed a slow death sentence hits home to Bay Area audiences, all too aware of San Francisco’s own AIDS Crisis. The immediate dilemma looming over the characters heads is how to make rent. Mark and Robert’s landlord has a deal for them. Either they convince Mark’s ex-girlfriend to cancel her planned protest of his next real estate deal, which would level the tent city, or they have to pay an entire year in back rent. But underneath swirl richer, more complex questions: How can you create change when you have no power? How do you forgive when people you love mistreat you? How do you put art and principles above a paycheck when you’re broke? How do you find the strength to watch people you love die, rather than run away? And of course, how do you measure a year in the life? The singers and the live band perform with ease, artistry and contagious feeling. It is an absolute pleasure to see these enduring anthems come alive with inspiring, terrific actors. In the second half, the music, lyrics and acting all come together in expressions of grief that linger in the silences between scenes. We feel the characters’ profound losses, intimately. And as strong as their psychic pain, a sense of rebirth emerges, bringing celebration and closure. 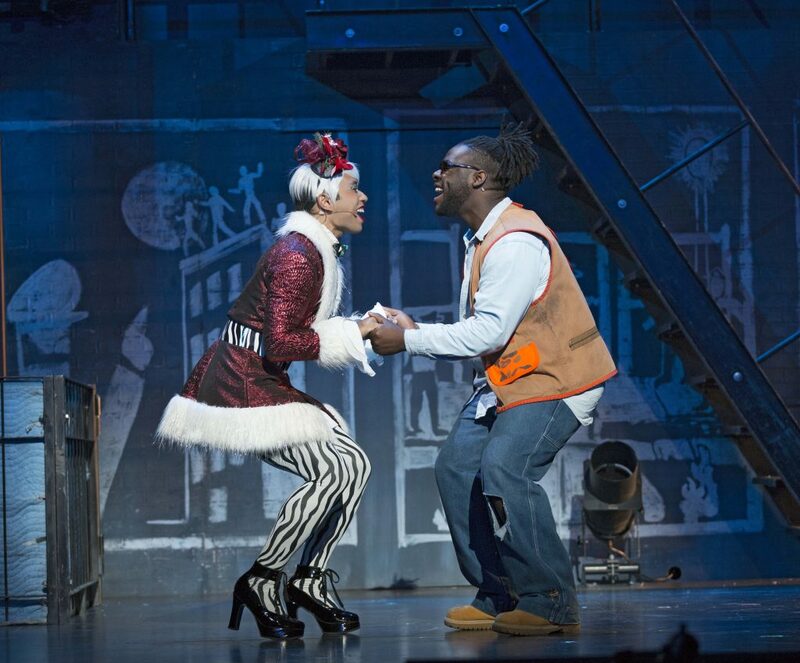 “RENT” is one of just a handful of shows to win both a Pulitzer Prize for Drama and a Tony Award for Best Musical. It’s clear why. 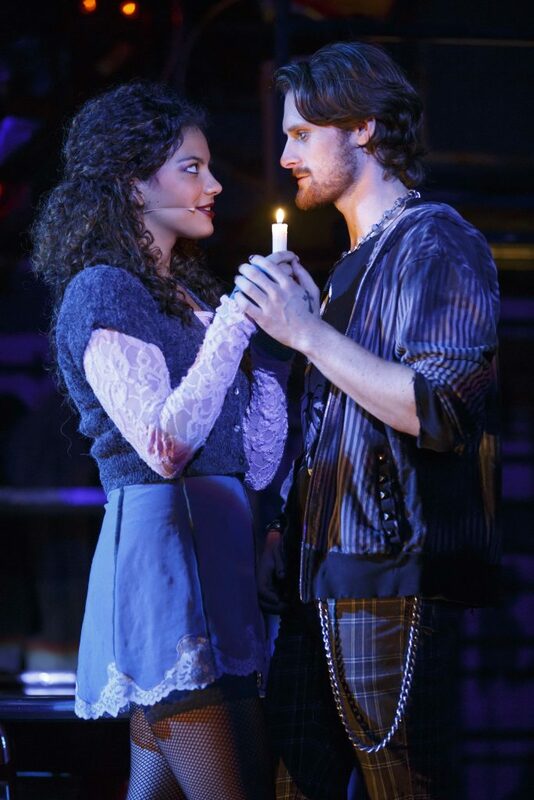 Don’t miss “RENT,” a once in a lifetime experience! Cast: Kaleb Wells, Sammy Ferber, Josh Walker, Marcus John, Jasmine Easler, Aaron Alcaraz, Skyler Volpe, Lyndie Moe, Yael Reich, Cameron Mullin, Alana Cauthen, Jordan Dunn-Pilz, Jordan Long, Devin J. Hall, and Chrissy Naruo.